Yes, friends. 10/10 at approximately 10:10am pst I’ll be updating Dizzy Blonde Studios with more stock. We’ve got 3 brand new colorways! 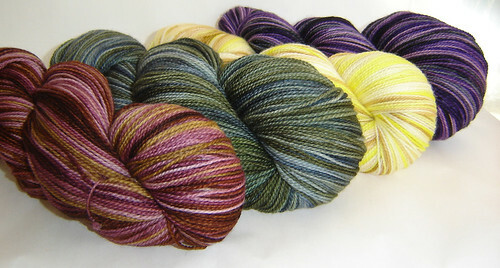 If you’d like a sneak preview of what’ll be available, check out my yarn page.